As restaurant professionals, wine enthusiasts and or dedicated collectors, we are always looking for ways to acquire rare or harder to find vintage wines. The wines we desire are often unavailable or on heavy allocation from local wine and spirits distributors. Have you considered the alternative of buying wine at wine auctions? Wine buyers at a local charity wine auction. Wine auctions can be very entertaining, challenging (even to skilled bidders), but most importantly rewarding. Believe it or not, wine auctions can offer some real buying opportunities. It is not uncommon for many wine auctions to offer “sleeper lots”, or those wines that are flying low under the radar of public awareness and perception. Sometimes it is just a matter of timing, and a great buying opportunity comes up immediately and then disappears just as fast with the loud report of the auctioneer’s gavel and his hallmark cry, “sold”, being spoken from the auction block. In their zeal to win their prized wines, many bidders will not only sacrifice pride but also a great deal of money in order to accomplish their objective. Here are some of the basics regarding auction etiquette and rules to help you on your way to becoming an adept bidder. Wine auctions are conducted in two basic formats – live auctions and silent auctions. Silent auctions typically involve more passive bidding. Sealed bid auctions, as well as online auction formats are also used in silent auctions. Live auctions are obviously faster and more aggressively competitive. Live auctions may also be conducted online and in real time Internet simulcast formats as well. There are three types of wine auctions: retail, charity or non-profit sector, and then those specific to the wine industry. These types of wine auctions can utilize any one of the auction formats (live versus silent) and choose to include online formats, real time Internet simulcasts, or basic sealed bid methods as well. There are more than 10,000 charity wine auctions occurring each year in theU.S., while there are only about eight well-known retail wine auction houses and six reputable online wine auctions. All of those retail venues conduct from one to six auctions a year. Retail wine auctions (i.e. Hart Davis Hart, Christies, Sotheby’s and Zachy’s) are different in focus, as are bidder method and strategy. In these venues it is completely natural for the bidder who seeks to acquire the “great buy” or “steal of a deal”. Your better values can be found in these venues. The wine auctioneer will almost always utilize “reserve bids” or opening bid amounts, so don’t be disappointed if the auctioneer does not accept a lowball bid offered under his stated reserve bid. Keep in mind that it is the job of the auctioneer to make money for the retail wine auction house, and fair market value is established by the high or winning bid. buyer’s premiums (Additional commission percentage charged to you the bidder, typically 10% to 20 %.) are commonly utilized by these retail wine auction galleries to cover overhead or increase revenue. You may want to figure the buyer’s premiums and sales tax into your bidding strategy. 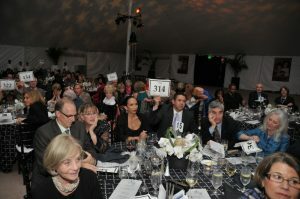 Charity wine auctions (i.e. California WineMasters and the Taste of Vail) are typically hosted by non profits or charity organizations seeking to raise revenue for a specific cause. Charity wine auctions may also promote some incredibly rare wines, but you will usually pay a very high price as the charities are the beneficiaries of these, usually more than generous, bids. Charity auctions or benefit auctions, as they are also known, have an attractive bidder perk; they are sales tax exempt and don’t typically involve buyer’s premiums. The biggest bonus for bidders attending charity wine auctions is that if bidder’s spending exceeds the posted retail amount on a particular wine auction lot, then the IRS allows the bidder to deduct the difference between the posted retail price and the actual amount paid for the item as a charitable tax deduction on his 1040 tax return. Don’t forget to check out the silent auctions at these special event fundraisers, as many of the “sleeper lots” can be found there. You can acquire great wines at these fundraising events and help your local community at the same time. Industry wine auctions (i.e. The Wine Barrel Auction of Napa) are some of the more esoteric wine auction venues. In essence, you must be employed in the wine industry in order to participate in the industry wine auctions. Today more and more of these venues are becoming more public in nature as they are transforming their events into more of a charity wine auction event. How should I bid you might ask? The most common method is for the bidder to hold his paddle or card up. Perhaps you’ve noticed some bidders gesturing with their hands, winking, yelling, etc. Depending upon the venue, most these methods are usually acceptable. Determine your bidding method based on the wine auctioneer, his speed, style, the venue, the number of auction items, and the size of the bidding crowd, all of which vary with each wine auction. If the wine auctioneer does not catch your bid, don’t worry; his “ring man” (bid spotter) surely will and then will report your bid with a very loud “Yep”. Rest assured, if you are a good bidder the auctioneer will notice you and even assist you in any way he can to keep you bidding and returning to his auction house. Your knowledge of wine and current wine market prices will undoubtedly help you to spot those bargains at the wine auctions in which you choose to participate. In the auction house the final word and authority for each transaction is the auctioneer. Do follow the proper auction etiquette, and do not make these common mistakes! Following the proper protocols will win you praise, whereas engaging in inappropriate actions can result in public rebuke, or, worse, your expulsion from the auction. It is the auctioneer’s duty to act impartially to keep the pace of the auction fast and smooth. Observe a wine auction or two first before you bid. Expensive lessons are learned the hard way! Attend the wine auction preview – Personally inspect the condition of all wine lots you intend to bid on. Knowing the history of the wine (i.e. previous ownership, storage conditions, etc.) will only help you. Read the auction catalog. Note all discrepancies between the actual auction lots and catalog descriptions. Read the Auction House Rules to understand better the required auction etiquette and protocols. Attend the start of the wine auction. It is not uncommon to find a few bargains at the very beginning of the wine auction while the bidders are still acclimating to the wine auctioneer and auction venue. Listen to the auctioneer. The wine auctioneer will go to certain lengths, even telling the bidders “this is a bargain and value”, in order to sell a wine lot, rather than “pass” the wine over the auction block without selling it. Stay through the end of the wine auction. The bulk of buying opportunities exists toward the end of the auction when the crowd thins out and the bulk of showcase wines have been previously sold. Don’t wave to other bidders because hand signals are often interpreted as a bid by the wine auctioneer. Don’t involve yourself in collusion (violation of the Sherman Act) or conspiring to fix bid prices. Don’t run up the bid unless you intend to buy the item. Running the bid up to spite other bidders will only make you an unwilling target of other wrathful bidders. Never interrupt the wine auctioneer or his clerk during the wine auction. Tom DiNardo is a licensed wine auctioneer and founder of DiNardo & Lord Auctioneers. He is also certified master wine appraiser, expert witness, and sommelier and wine educator. To contact Tom, please visit www.DiNardoandLordAuctioneers.com or call (888) 503-0828.